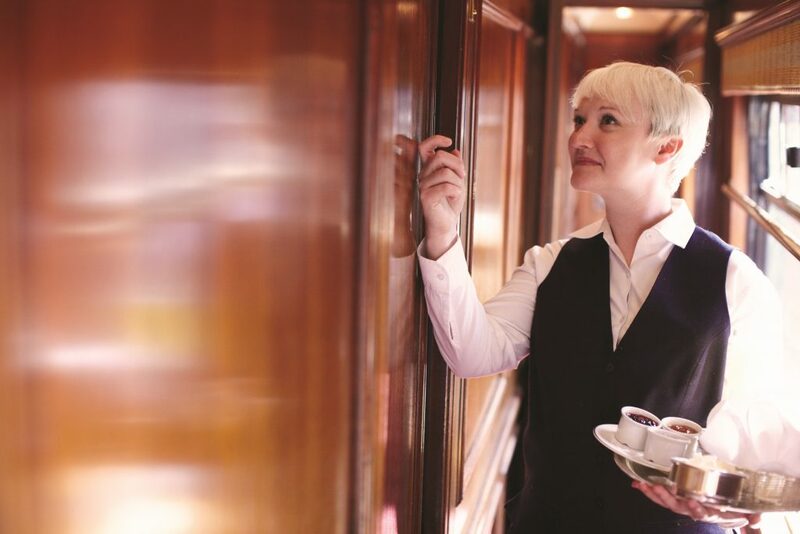 The warmest of welcomes, elegant cabins and the finest local cuisine all ensure an unforgettable journey on board Scotland’s luxury touring train. The train carries just 40 passengers in private en-suite cabins each with a cabin steward available 24 hours a day. Choose to take an extended 7 night tour or opt for a shorter 1 to 4 night tour which may be combined with one of our Custom Scotland Castle Vacations for the ultimate in luxury. 5 and 6 night tours are also available. 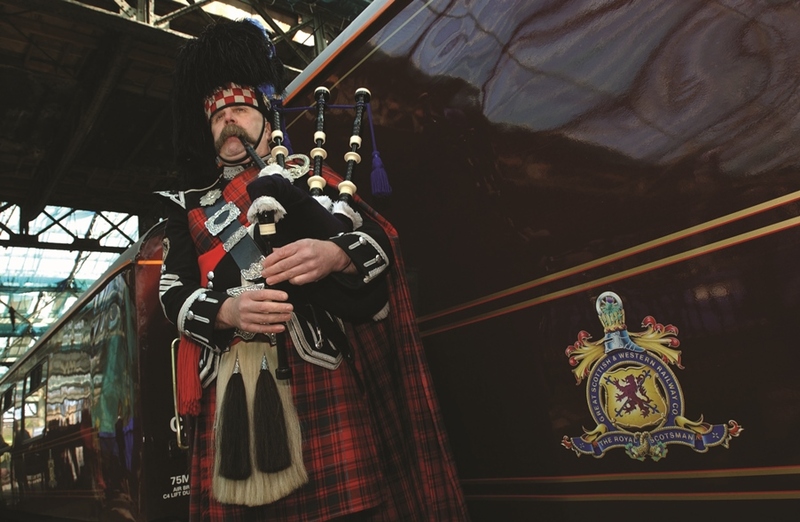 Or for your Scotland Group Tour rent a luxury train on an exclusive basis and customize your own unique itinerary. 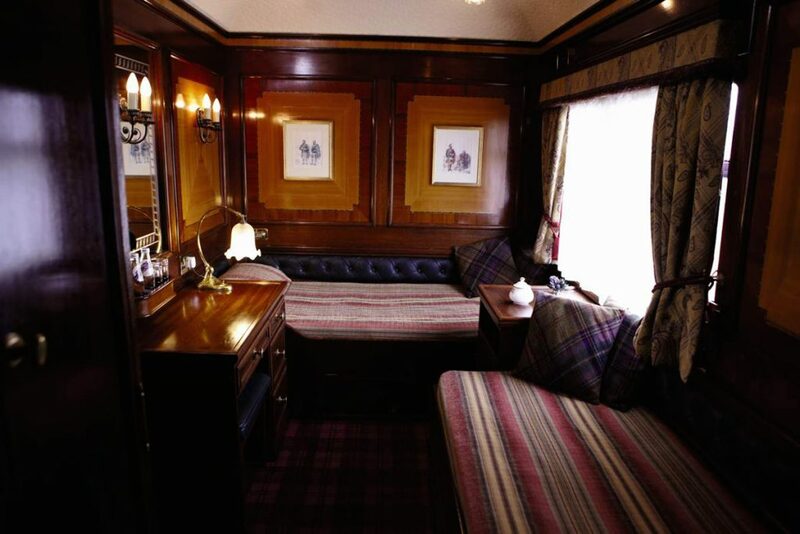 Luxury train tours may be combined with a Chauffeur Driven Scotland Tour to extend your adventure. Depart Edinburgh and enjoy afternoon tea as you take in the views as you pass Arboath, Montrose and Aberdeen, traveling along the scenic east coast to Keith. This evening an informal dinner will be served on board followed by local entertainment in the observation car. This morning soak up more of Scotland’s spectacular scenery as you travel to Kyle of Lochalsh. After an on board lunch stop at Plockton where you can choose between a visit to Eilean Donan Castle or a boat trip to see the wild seals. Return to the train for dinner before getting a good nights sleep in your luxury cabin. Today you will enjoy a tour of the Glen Ord Distillery as well as a private tasting and nosing session. Afterwards it’s on to Carrbridge for a visit to Ballindalloch Castle followed by some free time during which you may like to indulge in a spot of golf on the castle’s own 9 hole course. After dinner you are in for a real treat as a Highlander comes on board to share some local tales and weaponry displays. This morning visit the Rothiemurchus Estate in the heart of the Cairngorms National Park. 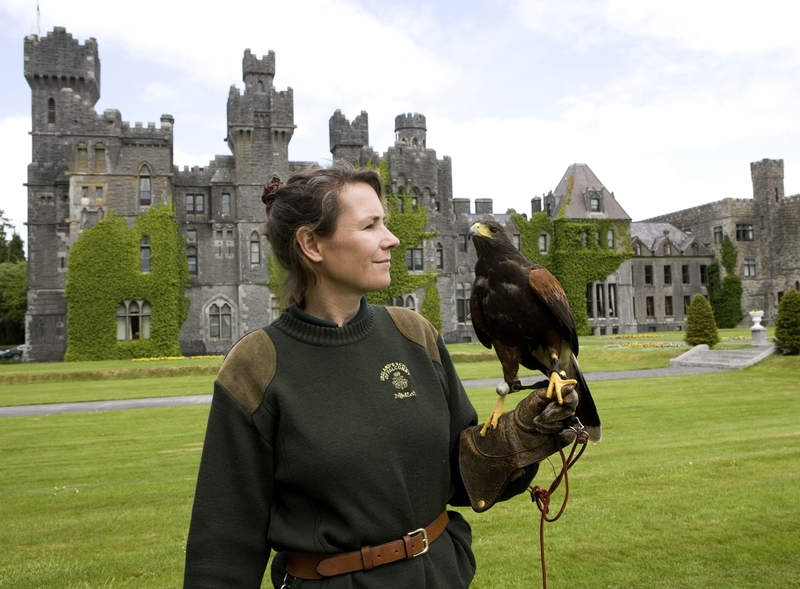 Options here include clay pigeon shooting, fishing or a guided tour of the estate. 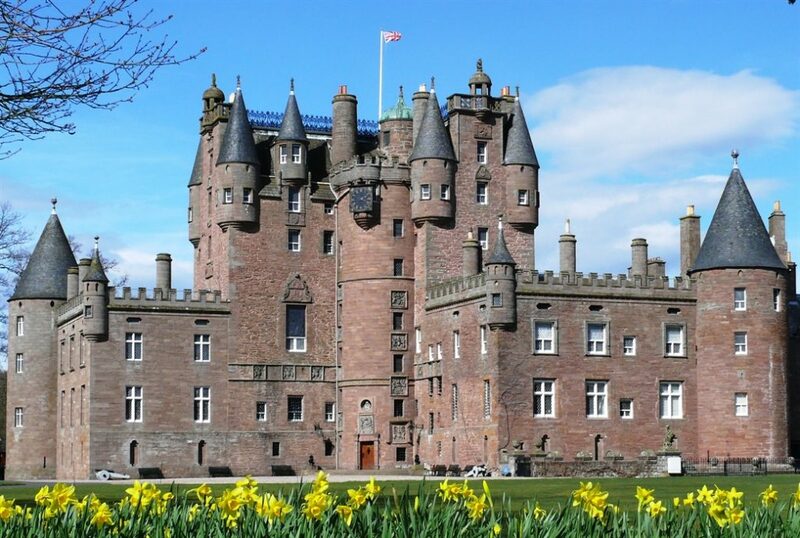 Back on board lunch is served as you journey south to Glamis Castle where you will visit the childhood home of the Queen Mother – Elizabeth Bowes-Lyon. Rejoin the train in Perth for a formal dinner and some lively Scottish dancing in the platform. Breakfast is served as the train travels back to Edinburgh. 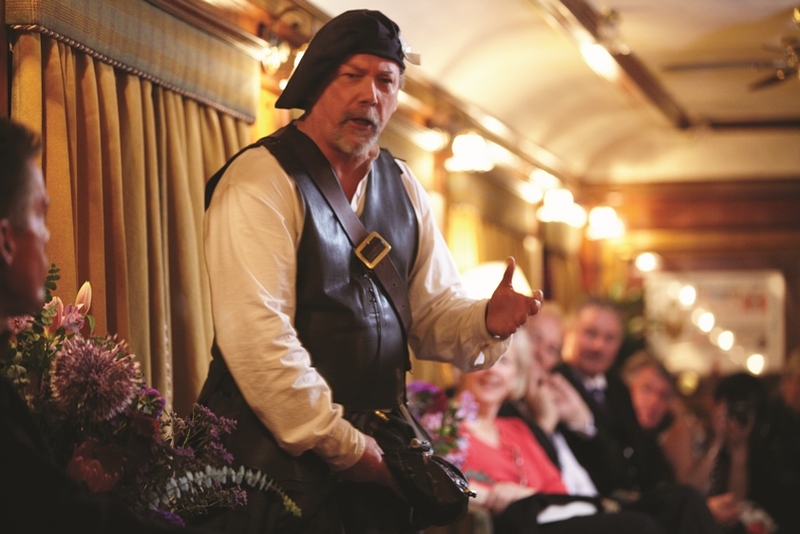 Scotland Luxury Train Journeys include daily meals, drinks, excursions, guides and additional entertainment. How would you like to tour Scotland?